The state of Instagram has changed so much from just being a virtual photo album to now being a place where you can market to your audience consistently 24/7, even have people who want to follow you all the time, by watching your stories and watching you on Instagram Live. I made a video about this few years ago, about How to Sell on Instagram, but now because things have changed I want to give you a big, big and profitable update. So here’s the thing, everyone wants to be so popular on Instagram. They want to be an Instagram influencer. They want to get all these brand deals, ads, so that you can show off products, be sponsors, get some free stuff’s and make money in the meantime. I mean look at Selena Gomez, shes’ one of the popular Instagram influencers, who gets paid 10s of hundreds of thousands of dollars, just for posting a picture of what she’s drinking that day. Isn’t that crazy? I mean, it’s a great opportunity, but is it possible for everybody? No. 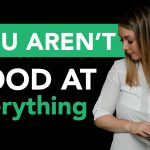 But is it possible for everybody to make money on Instagram? Yes. The common mistake that Instagrammers make is they think that they just need to get instant famous, get lots of followers so that then they can have brand deals. Well, there’s more power in your hands if you don’t do it that way. I mean, yes, having lots of followers is great and does open the door for more opportunities but that can come in time. 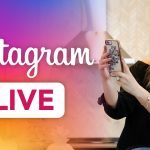 If you are someone and you already have an e-commerce platform or if you’re trying to promote your business, your products or service, whatever it may be, Instagram is a great opportunity to be able to do this. And one of the most common platforms that I would use, that I would recommend everybody be on, I know more millionaires who have used this program than anything else is ClickFunnels. I’m going to give you a 14-day free trial for using this platform which is just amazing for being able to sell and upsell people into even so many more options. One of the most important things that Instagrammers need, is a relationship, a message, something that their audience can relate to. I personally love Instagram stories. I go live on Instagram, almost daily, and love to interact with my people. And I do it so often that even if I were to take a day off, some followers will ask, “Where are you? “What happened? “Why aren’t you on Instagram?” They’ve come to expect that I’ll be on there. They follow my stories that closely because I want to engage with them, and I show them the behind-the-scenes and I’m just very real and sometimes vulnerable. I know that can be scary, but it can also be so beneficial and profitable. I share my stories. I share the real life of what I do, and you can check me out you to see how I actually do this on Instagram. Take it as a case study. See what I do, incorporate it into your strategy for yourself. The benefit of being so active on Instagram, and growing that following that is just raving about you, that loves to see what you’re up to every single day, is that you’ve now grown the know-like-trust factor. That people actually love what you do. They know who you are. They like everything that you put out, and they trust anything that you recommend. Now when you have trust factor in play, that is your golden ticket. Because not only can you have them purchase things that you put out, you could also recommend things such as an affiliate offer where once they go for that, you get the kickback, you get the commission, because of something that you just recommended that you know your audience may need. Now don’t worry about this being salesy. I don’t want to sell things. Look at it from the perspective of prescribing. When you go to a pharmacy, the doctors told you, you need this medication, this vitamin, and this cream, whatever. You go to the pharmacist with that piece of paper that the doctor’s given you, and you here’s what I need. Well, you don’t get mad at the pharmacist for giving it to you. They’ve prescribed you what you already need. So look at it as though you’re supporting your audience, or helping them, whether that’s from an affiliate offer by promoting someone else’s product or yours. One of my favorite ways to do this is to talk about it in my Instagram stories, and because I have over 10,000 followers at the time I’m filming this, (you can’t do the swipe up to link to something else unless you have over 10,000 followers), but another thing that you can do is also put it in the link in your bio. So if I’m on Instagram stories and I’m talking about something, and I’ll actually share a story, a real-life story, of how maybe this product affected me, or how it changed my life, and why they should want it, whether that’s again, my product or someone else’s and I can say, click the link in my bio. And whether you have a special promotion or an offer something like that, they can click that link, it’s your affiliate link or it’s the link to your store, and they can go see it. Now, this is one of the new and best ways to start selling on Instagram. Yes, if you’re in e-commerce you can have pictures of the products that you’re selling and put the links to that too. That’s a great way, but also being able to utilize your Instagram stories, swipe up if you have that feature, or putting the link in your bio. Now the other thing I did mention ClickFunnels before, which is one of my absolute favorite softwares that has changed my life and helped me to scale my business faster than anything just from this one software. With ClickFunnels, I can create landing pages, opt-in pages, webinar pages, you name it. Even with upsells, one time offers, down-sells, so that when selling them through one product, there’s lots more other options, tripwires, you name it. Okay, you might be asking, “Well Marley, like how do you give something away for free, but still sell them?” Well, you’re giving them value for free, and now they’re on your email list, or you can pitch them something in a webinar after you’ve given them enough value to know, like and trust you, we talked about this already. Because once they know, like and trust you, they know that the value that you’re giving, because you’ve given enough free value at the beginning, they would think, well imagine how much value I’ll get if I pay $20, $30, $100, $1,000, you name it, whatever you decide to price things. It’s about creating the know-like-trust factor, to the point where they’re so excited they’re following you and they’re raving so much, that they just want to throw their credit cards at you. And ClickFunnels is one of the best recommendations I have for being able to create, not only the landing pages, and the actual systems and technical stuff to create that, but it also has a community behind it that will teach you the tactics that you need. So, ClickFunnels, I can’t recommend it enough. I know it sounds counterintuitive, but the more free things I gave away, and continued to nurture the people that I gave the free value to, those people I nurtured ended up being such diehard followers, fans, that then the sale was easy. Because like we talked about before, selling can feel yucky. But when they know, like and trust you to the point where you’re not selling, you’re just prescribing, you’re at a place where you know your audience and they know you and you know what they need, that’s where it just becomes so much easier. So be personable in your Instagram stories, create relationships, give so much value. And you might ask, “well how do I know when is enough?” There’s never enough. Keep giving, keep giving. You don’t have to hold back, and create lead magnets, create freebies. I have free webinars. I have free downloads. And if you want support with how to create the Instagram stories that are going to help you strengthen your brand, I also have a guide that I’ve created on that, will actual templates and hacks for you.